It is odd that such strange a plant, like a cactus, considering the aspect, the habitat and even the name, provokes so much admiration and inspires that many people. I am happy that my tiny set of cactii pictures grows since these images are one of my favorites when it comes to capture capricious forms,attractive textures and vivid green hues. Look at those buds make their way to substitute the withered ones. 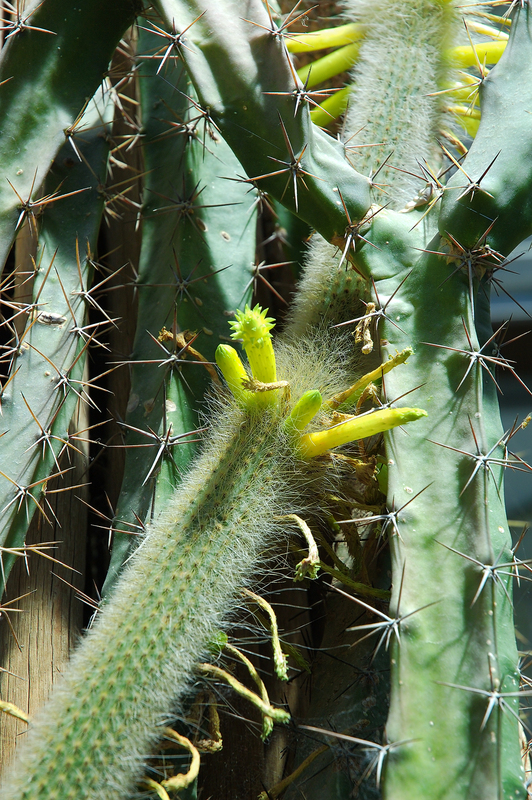 See how the thorny or "hairy" stem crawls through the other cactus searching for the light. Try to forget it is just a mere succulent plant and concentrate on the pattern and the lines that nature so stubbornly has woven for us. Isn't it amazing? i like the sharpness of this photo. i also have a blogspot photography blog and im wondering, how do you get your pictures to appear so large? to make them happy in the pots inside, they demand just right treatment.